Pinterest has been doing an admirable job of expanding globally. Over the past year, they’ve added a number of different languages to the platform (22 in total) which includes Finnish, Korean and Russian. The social pinning site is now taking the next step forward with a redesigned mobile site that’ll make it easier for people around the globe to access the service. Pinterest closed a $225 million round of funding last October and noted at the time that they were aiming to make the service more accessible to international users. In a blog post announcing the redesign, software engineer Tracy Chou said the mobile version of Pinterest now uses a cleaner design while retaining the same features one would get on the web or via mobile apps. 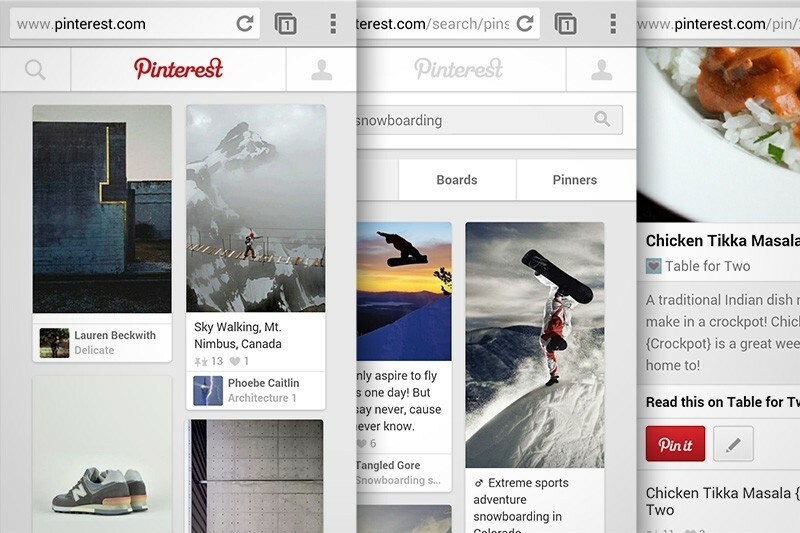 The decision to redesign the site certainly makes sense as mobile is huge for Pinterest right now. The site saw mobile usage increase 50 percent since the beginning of last year. According to the company, 75 percent of all traffic comes from their Android and iOS mobile apps. In regions that don’t have access to these apps, the mobile website is the next best thing. Just how many users Pinterest now has still remains a mystery, however. Analytics firm comScore pins (no pun intended) usage at around 48.2 million people but that only accounts for desktop users. Considering most now connect via mobile, that figure is likely much higher.